Quotations by Thomas Jefferson are frequently used by professors, politicians, and “experts” in just about every field, but why did Jefferson say what he said when? 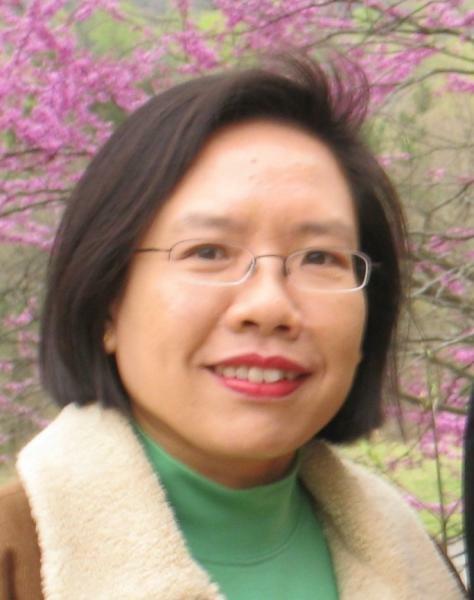 Endrina Tay, Monticello’s Associate Foundation Librarian for Technical Services at the Jefferson Library, shares the story behind Jefferson’s famous book quote. “I cannot live without books, where fewer will suffice where amusement, and not use, is the only future object,” declared Thomas Jefferson to John Adams in June 1815, shortly after the tenth and last wagon carrying his library left Monticello for Washington, D.C. Jefferson had sold his library to Congress to replace the congressional library that was destroyed when the British burned the United States Capitol on August 24, 1814. Congress, he felt, could not function without access to a proper reference library, so he promptly offered his own. Since childhood, Jefferson was never far away from books. He drew ideas, inspiration and innumerable hours of delight from them. Reading was for him his “greatest of all amusements.” He counted it among the simple joys of life. While carrying out his diplomatic duties in Paris in 1788, he wrote, “I had rather be shut up in a very modest cottage, with my books, my family and a few old friends, dining on simple bacon, and letting the world roll on as it liked, than to occupy the most splendid post which any human power can give.” Now in retirement after leaving public life in 1809, he turned to reading as a welcome escape from the daily tedium of attending to his correspondence and business affairs. The replacement library he envisaged would reflect his retirement interests over the last 11 years of his life, and come to include many of his favorite titles and editions. Between 1815 and 1819, we observe a book buying frenzy in Jefferson’s correspondence and account books. With the aid of George Ticknor, David Bailie Warden and others, Jefferson tapped booksellers across the Atlantic and in metropolitan centers like Philadelphia and New York to replenish his empty shelves at Monticello. By the time of his death in 1826, his “little collection of books” had grown to some 1,600 volumes. Granddaughter, Ellen Wayles Randolph, recalled, “Books were at all times his chosen companions, and his acquaintance with many languages gave him great power of selection … I saw him more frequently with a volume of the classics in his hand than with any other book.” He continued to enjoy works of history in various languages, particularly ancient history, along with scientific works, especially physics and geometry. He read Tacitus, Thucydides, Homer, Virgil, Dante, Cervantes, Shakespeare, Milton, Aeschylus, Sophocles and Euripides, among many others. He also kept up with new publications by reading the Edinburgh Review, and “kept himself acquainted with what was being done, said, or thought in the world from which he had retired.” Jefferson had intended his library to become part of the University of Virginia after his death. But sadly, it was dispersed at auction in Washington, D.C. in 1829, with the remainder sold off in a smaller sale in Philadelphia in 1831, in an effort to settle his debts. 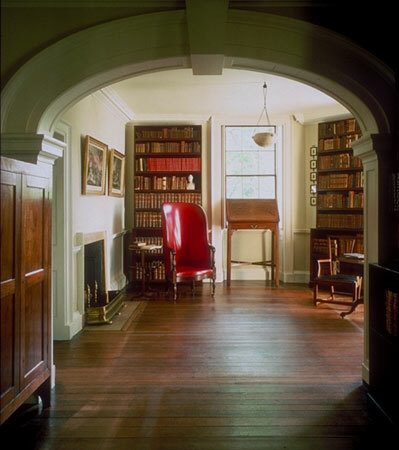 Apart from his library at Monticello, Jefferson also maintained a satellite library at his Poplar Forest retreat in Bedford County. There he maintained his “petit format” library of small-format editions of works by British, Italian, French, Greek and Latin poets, along with works of prose by his favorite authors. Jefferson’s grandson, Francis Eppes, inherited Poplar Forest and its contents, and years later, put 675 volumes from Jefferson’s Poplar Forest library up for sale in New York in 1873. Endrina Tay is Associate Foundation Librarian for Technical Services at the Jefferson Library at Monticello. Since joining the Foundation in 2002, she has been responsible for creating access to Monticello’s research and library resources, training and supervising library volunteers, and adapting technology solutions for the Jefferson Library. Since 2004, she has been project manager for Thomas Jefferson’s Libraries, a project based at Monticello in partnership with LibraryThing.com, to build a comprehensive and publicly accessible inventory of the books Jefferson owned, read, and recommended during this lifetime. Thomas Jefferson to John Adams, June 10, 1815. Published in Papers of Thomas Jefferson: Retirement Series (Princeton: Princeton University Press, 2004), vol. 8, 523. Thomas Jefferson to Samuel H. Smith, May 8, 1815, PTJ:RS, vol. 8, 476. Thomas Jefferson to Samuel H. Smith, September 21, 1814, PTJ:RS, vol. 7, 683. Thomas Jefferson to David Bailie Warden, February 27, 1815, PTJ:RS, vol. 8, 292. Thomas Jefferson to Abigail Adams, August 22, 1813, PTJ:RS, vol. 6, 437. Thomas Jefferson to Alexander Donald, February 7, 1788. Published in Papers of Thomas Jefferson (Princeton: Princeton University Press, 1950), vol. 12, 572. Thomas Jefferson to George Ticknor, March 19, 1815, PTJ:RS vol. 8, 361. Henry S. Randall, The Life of Thomas Jefferson (New York: Derby & Jackson, 1858), vol. 3, 346. My Wife and I know exactly how he felt. We, also cannot live without books……or bookcases!